If you have been farming the last several years you have probably heard of the Four R’s (4R) of crop nutrient management. As you plan for 2019 growing season it is a good time to review what they are and how they fit into your operation. The 4R Tomorrow Nutrient Stewardship program is being promoted to farmers by agriculture associations and state agencies alike. 4R is managing nutrients for the right SOURCE, right PLACE, right RATE, and right TIME. The goal is to reduce nutrients from leaving the farm degrading water quality. 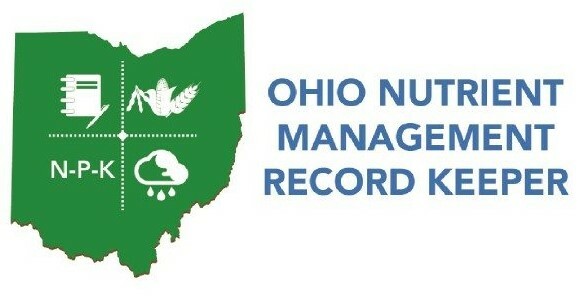 Adopting the principles and practices of 4R is a proactive approach to nutrient management that may prevent further state and federal regulations for fertilizer and manure applications. The first R is the Right Source. The goal for this R is to match fertilizer type to crop needs by choosing fertilizer forms and sources based on plant-availability. Using nitrogen stabilizers as needed and taking credit for manure nutrients generated on the farm are tools to accomplish this goal. The next R is Right Rate. Match the amount of manure and fertilizer nutrients to crop needs. Developing a nutrient management plan based on current soil test to determine the rate of fertilizer and manure for each crop and field will help to manage this R.
The third R is Right Time. The goal for this R is to match nutrient availability to when the crop needs them. Planned crop rotations, side dressing nitrogen to corn crops, incorporating manure and fertilizer, and developing manure storage and plans are tools to accomplish this R.
The 4th R is Right Place. Put and keep nutrients where the crops can best utilize them. Avoid winter manure & fertilizer application or identify low risk fields for emergency applications. Plant cover crops to reduce soil erosion and nutrient runoff. Cover crops also scavenge excess nutrients for the next crop. I would like to suggest another R that can make these first four even more valuable to your operation and the environment. Records, written records. Plans are great, but records of what you actually did and when are even more useful to your management decisions. Last week I was able attend the National No-Tillage Conference in Indianapolis, Indiana. One of the presentations was a farm that has 20 years of records on every field. What is even more impressive is that he uses those records to make his management decisions. Based on these records most of his fields are no-till and cover cropped, and he makes money. He is very confident in his decisions and mentioned he sleeps well at night. Good decisions are made possible by good information. So maybe the 5th R should be Records. This is a great time of year to evaluate last year’s crop management and plan for this year. One of the ways to do that is to make a six-item list of things that worked for you and things that didn’t. Write down three strong points of your operation and three weak points. Simple, but it may point you in a direction as to where to spend time, money, and energy for this year. Maybe one of the weak items on your list is records. You may want to put some time and effort to improve written records this year and see if it will be valuable for decision making in the future. Holmes SWCD may be able to assist you with application record forms or even a free smartphone app called OnMrk. Joe Christner came to Holmes SWCD in 2001 with experience and knowledge drawn from 20-plus years of dairy farming. He grew up on a small farm near New Bedford, Ohio. His background interest and involvement in agriculture from the time he was a young man give him an empathy and understanding of the needs and concerns of today’s farmers. Joe can assist you with conservation plans for your farming operation, including nutrient management planning and record keeping. Water quality, soil health, and conserving the resources needed for the next generation and beyond is very important to Joe. We know that livestock have stomachs. We know that the basic function of the stomach is to convert what we feed our animals to nutrients they can use for growth and production. Because the income from our livestock is based on this process we make the effort to provide the management and feed for a healthy functioning stomach. But what about plants? Holmes SWCD Water Quality Technician Joe Christner gives you the scoop. Soil Samples! 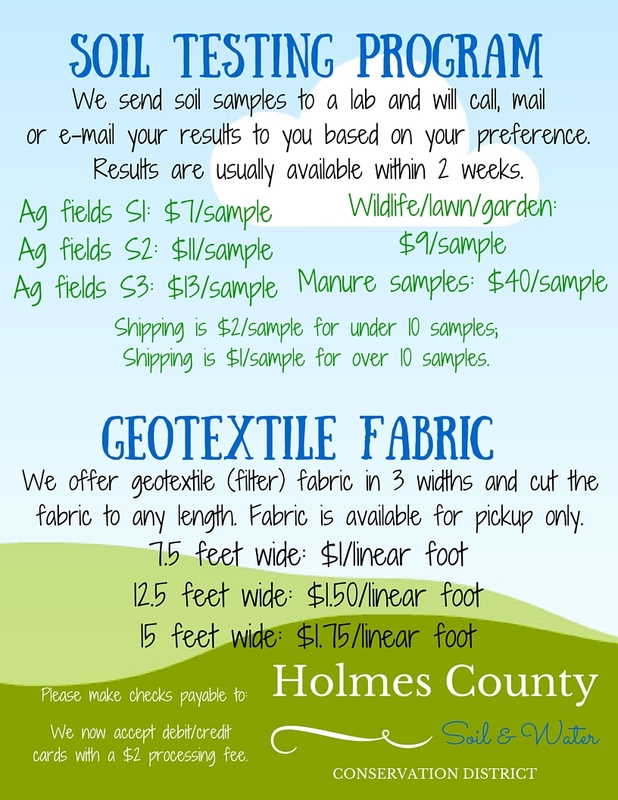 Get Your Soil Samples! Now is the time to get your fall soil sampling done so you're ready to go this spring! Holmes SWCD water quality program assistant Karen Gotter walks you through the steps necessary to collect the perfect soil sample for testing.